Balancing safety and convenience can be tricky. In situations involving a blackout, a flashlight is necessary, and rechargeable ones are ideal. Combining this with everyday convenience is difficult, as rechargeable flashlights typically take up limited electrical outlets. Of all places to solve this, the Museum of Modern Art, New York (MoMA) would seem an unlikely one. The aptly-titled Bulb Flashlight is currently being sold at the MoMA store. For a hefty $45 (or $40.50 for members) you can buy this practical, if not ingenious invention. 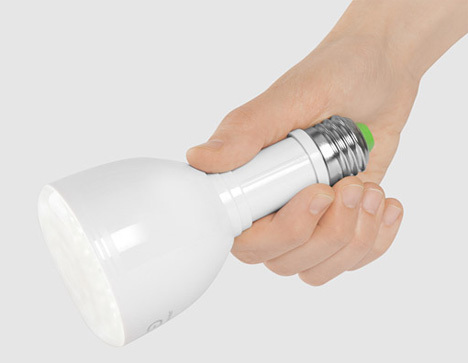 Its name says it all: It’s a flashlight that doubles as an LED light bulb. When screwed into any standard lamp socket, it charges as it provides light. If needed, it can be removed and morph into a flashlight simply by pulling its handle out and flipping the switch. 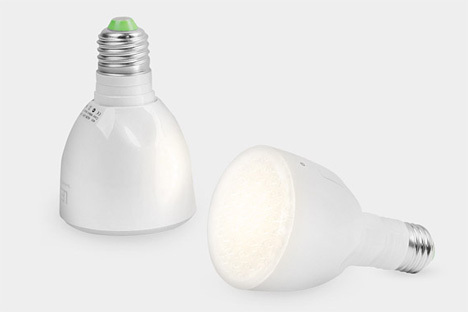 It reportedly can last three hours before a recharge is necessary and as a light bulb has a 60,000 hour lifespan.